We are not a bank in the ordinary sense but a unique partnership to reduce poverty and support development. We comprise two institutions managed by 188 member countries: the International Bank for Reconstruction and Development (IBRD) and the International Development Association (IDA). The IBRD aims to reduce poverty in middle-income and creditworthy poorer countries, while IDA focuses exclusively on the world’s poorest countries. These institutions are part of a larger body known as the World Bank Group. The Africa Poverty Reduction and Economic Management Group (AFR PREM) plays a key role in implementing the recently published Africa Region Strategy which identifies governance and public sector capacity as the foundational challenge for growth and development in the region. AFR PREM has particularly significant responsibilities in strengthening efforts to build sustainable and effective institutions that can help bring about shared growth and poverty reduction in the countries of the region. In Nigeria, governance challenges and weak institutions for financial management and service delivery are major challenges. The World Bank and development partners have committed significant resources to support the Government of Nigeria in its efforts to strengthen institutions and improve governance. Policy dialogue and technical assistance engagements are aimed at the federal level as well as the state level. Starting fiscal year 2012, the Bank will be engaged in public sector institutional strengthening in 21 states through analytical work, lending operations and grant funded tasks. In addition, governance and political economy is being mainstreamed into the Bank portfolio in all sectors to strengthen development impact. To respond to increasing client demand AFR PREM is looking to recruit a dynamic and problem-solving individual as a Senior Public Sector/Governance Specialist to support the developing program of. 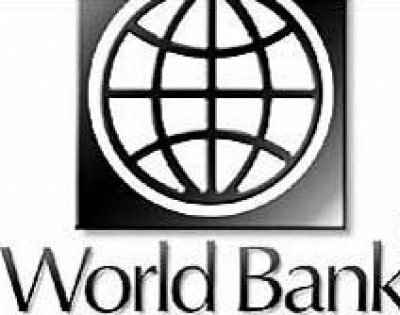 The selected candidate will be based in the World Bank’s Country Office in Abuja, Nigeria for a period of at least three years. Working as a member of the PREM Team and in close collaboration with the Lead Public Sector Governance Specialist, she/he will work directly with key federal and state government and non-government entities as well as with other development partners. Depending on the profile and language skills of the selected candidate she/he might be tasked to join teams in neighboring countries as well. The candidate will ensure close collaboration with staff in the Human Development and Sustainable Development Networks and will foster multi-sector approaches to addressing systemic constraints in countries to public service delivery and effective management across sectors. Lead or support multi-sector teams to deliver the Bank’s analytical, lending, and grant operations pertaining to public sector reform, including political economy and governance diagnostic work. In so doing, the candidate will provide advice and support to other World Bank sector operations involving public sector management/governance challenges. Manage the preparation and supervision of assigned tasks and deliverables and ensure effective response and delivery of programs requested by Country Management Unit as well as ensure the quality of the analytical and lending program. Generate and exchange knowledge relating to concepts, techniques and lessons of experience pertaining to governance, public sector reform and capacity building, advise on governance issues for Country Assistance Strategy preparation, and facilitate multi-sectoral approaches to governance reforms. Support the Cluster Leader in work program discussions and in supervising the quality and timeliness of work program deliverables for the Nigeria program. The successful candidate will be a highly seasoned professional with solid operational experience working on public sector management, governance and anti-corruption issues in developing countries with in-depth knowledge and experience in public financial management , with adequate knowledge and understanding of other areas of public sector management/governance (e.g. integrated financial management information systems, civil service reform, anti-corruption reforms, political economy analysis etc.). Advanced degree in public policy and administration, economics, political science, finance, or other related field. A strong record of peer reviewed publication on public sector reform would be a plus. At least 8 years of relevant experience in public sector reform and capacity building. Work experience in Africa would be preferred. Demonstrated skills in addressing governance challenges in multiple sectors and in shaping country strategies. Experience in governance issues related to natural resource management a plus. Demonstrated skills and experience in project management. Strong interpersonal skills, proven team orientation, ability to multi-task and work across unit boundaries and a solid track record of mentoring junior staff. Demonstrated ability to develop and maintain productive, professional relationships with government counterparts, donors and other stakeholders. Excellent writing abilities, persuasive oral communication skills and ability to foster long-term, productive client relationships. Fluency in English, including excellent writing skills, is required. Fluency in French would be an advantage. Knowledge and Experience in Development Arena - Translates technical and cross-country knowledge into practical applications and contributions to country and sector strategies; interacts with clients at the policy level. Integrative Skills - Understands relevant cross-sectoral areas how they are interrelated; able to undertake cross-sectoral work in lending and non-lending operations. General Governance and Public Sector Knowledge and Experience - Has the ability to lead production of projects and/or major studies on areas key to public sector. Written and Verbal Communication - Demonstrates the ability to influence and persuade others to accept ideas and suggestions (such as counterparts in government, international partner organizations, academia, and Bank colleagues, senior staff and managers). Public Administration - Demonstrates in-depth knowledge of public administration, human resource management and civil service reform. Public Finance - Has knowledge and demonstrated expertise of public expenditure policy and management, tax reform, and public investment. Team Leadership - Successfully puts together a team with complementary skills that ensures high-quality technical output and success of projects while being cost-conscious ESW/TA Policy, Strategic and Technical Analysis for Country/Sector Issues - Experienced in using key relevant sector/theme analytical tools and able to translate theoretical concepts into practical approaches for Bank AAA work. Teamwork (Collaboration) and Inclusion - Shows leadership in ensuring the team stays organized and focused, and actively seeks and considers diverse ideas and approaches. Knowledge, Learning and Communication - Leads in the sharing of best practice, trends, knowledge and lessons learned across units and with clients and partners, articulating ideas verbally and in writing in a clear and compelling way across audiences of varied levels.